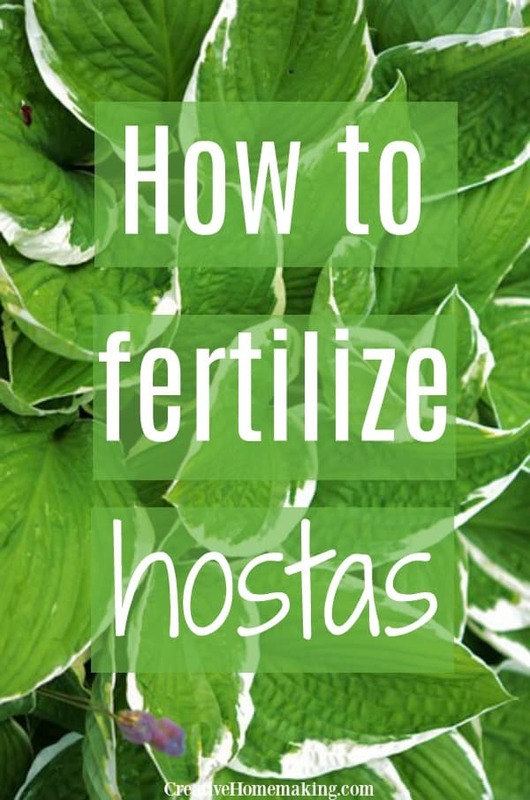 March 12, 2018 0 comments on "How to Fertilize Hostas"
Some people say hostas and fertilizers do not mix as they are such as hardy plant that they don’t need to be traumatized by fertilizer. Furthermore if you optimize your soil in the first place you won’t need fertilizer. 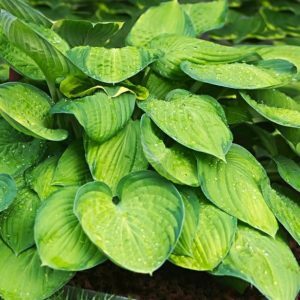 Most professional hosta gardeners recommend a 10-10-10 blend of fertilizer for hostas as a kind of universal food for the plants. However what you really need to create the perfect soil conditions for hostas is a soil test. This will provide you with an accurate picture of what nutrients your soil is missing. 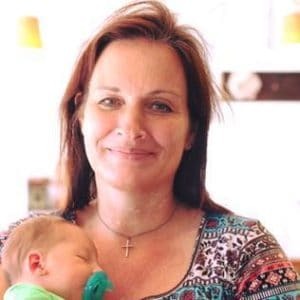 Your county’s office can usually do this for you or you can hire a private testing lab. The fee for this is pretty affordable and you will know exactly what fertilizer to use to augment your soil with fertilizers to grow hostas. You can also buy an inexpensive soil tester kit like this one from Amazon and get quick, at-home results. When it comes to hostas and fertilizer your first application should be early in the spring. This is the point when the hostas emerge from their dormant winter phase. 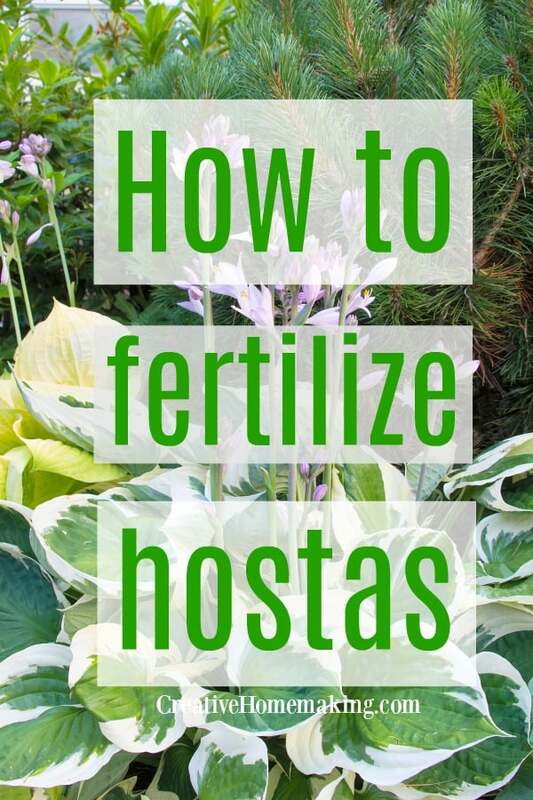 Most professional and hobby growers of hostas say this is the time at which the plant needs more nitrogen so a 20-10-10 hosta fertilizer or even a 20-20-20 hosta fertilizer will encourage the plant to expand its root system. The next application of fertilizer to your hostas should be in early summer after the foliage has opened. The difference between this application and the one you did in early spring is that the hosta fertilizer will be lower in nitrogen. In this case you can use the 10-10-10 or a 10-20-20 solutions to feed your hostas. You can also skip using any of the commercial fertilizers and go organic. There are many types of organic fertilizers for hostas including ones made of manures, compost, seaweed, fish emulsion, blood meal, cottonseed and bone meal. Keep in mind that if you use an organic hosta fertilizer that it will be very high in nitrogen and therefore best to use early in the spring. As this type of organic hosta fertilizer breaks down it becomes less rich in nitrogen. Also as it breaks down it adds humic acids to the soil, which help support the growth of healthy microbes in the soil. This is why organic fertilizer is beneficial as a natural time-release substance that will enrich your hostas over an entire growing season. When it comes to hostas and fertilizers you can’t go wrong applying manure or composted manure. Simply lightly pack a couple of inches of manure or composted manure to the surface of the soil at the beginning of each growing season. For optimum results make sure that the plant has an inch or so space away from the manure layered. This will help enhance the health of your hostas and keep them looking gorgeous all season long. Some of the commercial hosta growers use a slow release fertilizer such as osmocote. You can buy osmocote on Amazon or at your local garden center or at stores such as Menards or Home Depot. The advantage of this type of fertilizer is there is less of a chance of plant burn since fertilizer is released over time. I incorporate slow release fertilizer into the soil before transplanting hostas. I have found an application in June will produce some nice new growth which will be visible in August.